Documentaries have always been a powerful tool for raising awareness among the public of 'wicked' policy issues and, in some cases, leading to changes in government policy. Cathy Come Home, Hillsborough and Who Bombed Birmingham? are just three examples of documentaries that have not just informed the public, but also framed key public policy agendas. 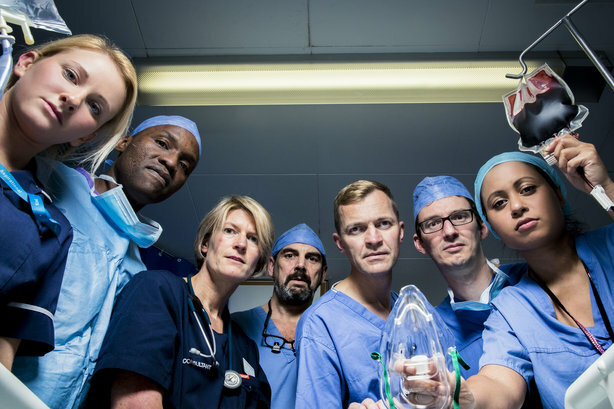 The NHS has had several ‘fly on the wall’ documentaries in recent years but Hospital, BBC Two’s new six-part series on life at Imperial College Healthcare NHS Trust, is likely to transcend these and take its place alongside some of the UK’s most significant documentaries. Timing is often everything and Hospital’s opening episodes are being broadcast in the middle of one of the NHS’ busiest ever periods – a period in which stories about delays in treating patients in A&E departments have been splashed all over the front pages of the national newspapers. Both opening episodes have shown how a lack of beds can mean one patient’s care coming at the expense of another’s. The human cost of this was captured most vividly when Simon, a patient with a tumour in his oesophagus, had his operation cancelled as Janice, an incoming patient requiring life-saving surgery following a ruptured aneurism, needed the intensive care bed that was intended for Simon. Through these patients and their experiences, as well as the staff that treat them, Hospital is giving the public a glimpse of the trade-offs and difficult decisions that NHS staff and patients face every day. This may be one hospital but its experiences are not unique. The majority of NHS trusts are struggling with record numbers of people requiring treatment, constrained funding and a lack of staff. Despite these pressures, Hospital also captures how nurses, doctors, physios and other staff at Imperial continue to provide safe, high-quality care for the public. It is easy to forget this amid the headlines. It was also refreshing to see the cameras focus so much on Lesley, a manager who was working against the odds to find beds for patients. NHS managers are not always portrayed favourably, but this was a good illustration of how important how they are. The patients, staff and leadership team at Imperial deserve credit for enabling this moving portrayal of life at the NHS front line to be shown to the public. They gave the documentary makers unfettered access to the hospital for several months – not an easy decision to make at such a febrile time in the debate on the performance and funding of the NHS. But by letting in the cameras and showing the reality of the challenges NHS trusts are facing, the series is set to make a serious contribution to much-needed discussions about how we need to change the way health and care services are delivered to the public. It also stimulates the debate that we as a country need to have on the quality of care we want and how we much we are willing to pay for it. • Click here to subscribe to the new FREE public sector bulletin to receive dedicated public sector news, features and comment straight to your inbox.